BFK458 is the replacement for the Lenze 14.448 and is 100% interchangeable. CFI offers extensive inventory for immediate shipment. Contact us for application assistance. 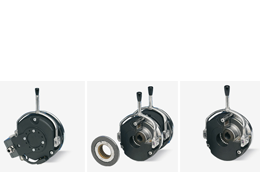 The BFK458 spring-applied brake is a standard stock product that can be used anywhere. Its flexible, modular design means it can also be used for special applications. Challenge us with your application!